My daughter is trying out a new style of drawing. She calls this one, typography art. The model is Twiggy, a fashion icon in the 60’s. 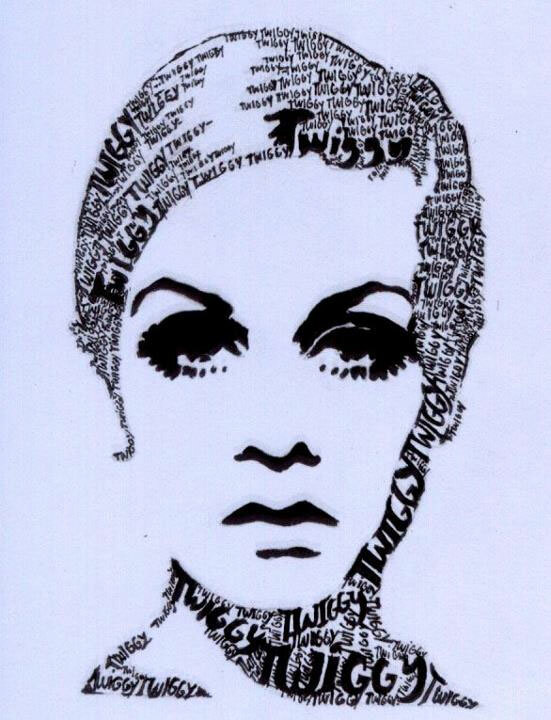 This entry was posted in Art Stuff and tagged artwork, fashion icon, twiggy, typo art, typography art on March 18, 2012 by Yami. astiiiiiiiiiiiiiiiiiiiig! Your daughter is really talented! Tell you’re daughter they’re also called “calligrams” and were first originated by Picasso’s good friend in the early 1920’s. His name was Guillaume Apollinaire. He died from the plague at only 38 years old. I’ll tell my daughter about it. Thanks for the info. It’s excellent. Your daughter is such a great artist!